Mix the balsamic vinegar, brown sugar, olive oil, sugar/maple syrup and salt and pepper in a bowl. Quarter the figs and toss in the vinegar mix. Leave to stand until needed. 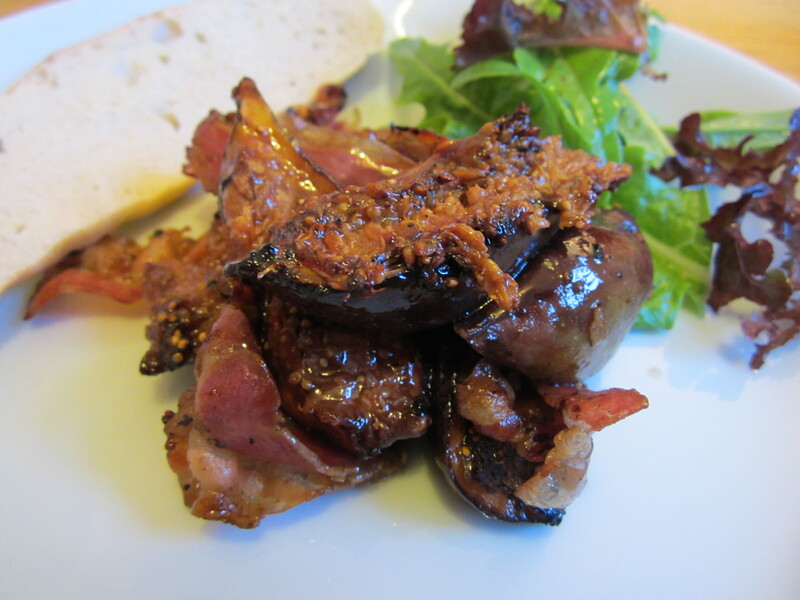 Cook the figs on the barbecue grill until soft and charred (about 10 minutes) and the pancetta until crispy (a minute or two on each side). Serve together with crusty bread/toast, green leaves and a glass of prosecco. This can also be made in two separate frying pans on the hob if you prefer.